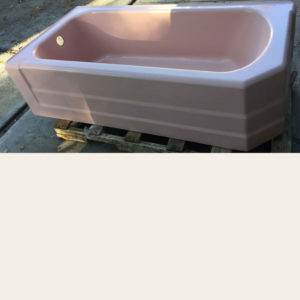 This item is a truck freight only item. Due to the wildly fluctuating truck freight shipping prices, we’ve had to switch to this method of supplying our customers with accurate costs. Please either e-mail sales@deabath.com or call 800-255-4426 between the hours of 8-4:30 M-F and supply us with your shipping address. We will then contact you with a shipping quote. Keep in mind that we are in California. 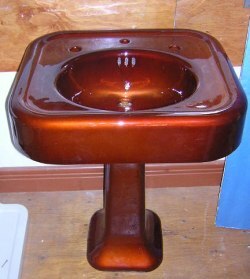 Can also be used with console lavatory legs! 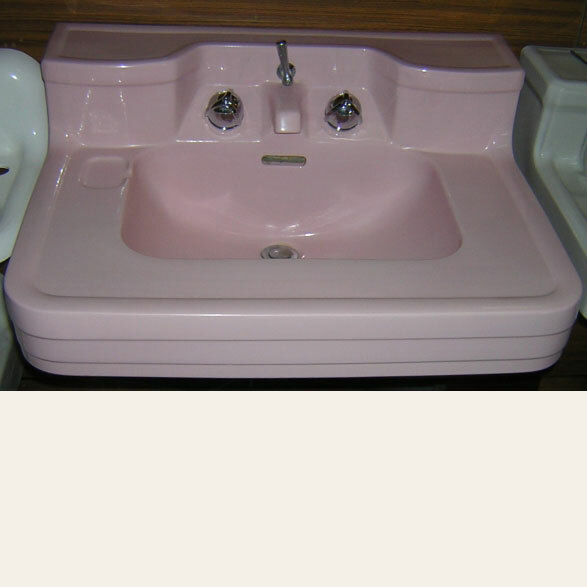 Sink is in Crane’s “Orchid Pink” has has the desirable integral spout. 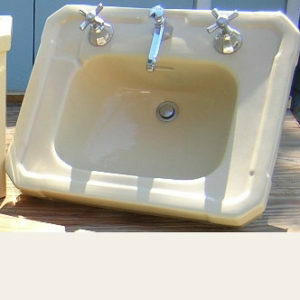 While the basin has many chips, none go through to the base material so they do not show up…. 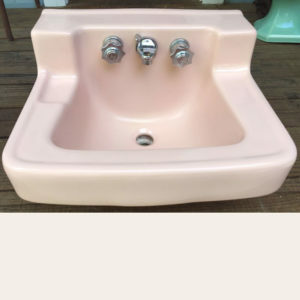 Sink measures 21 1/2″ by 27″. 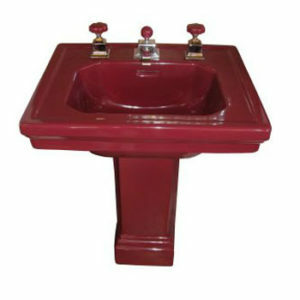 Cool sink in a hot color, don’t let it get away!